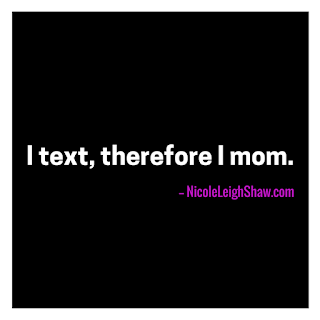 I text therefore I mom. That's what happens when technology is the pits and you have a newborn. 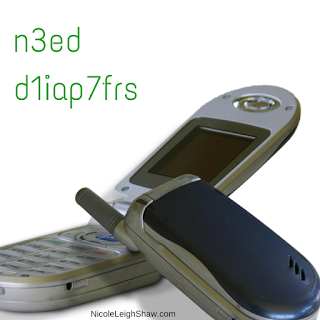 You type cryptic messages and pray that you slip into a comfortable and silent coma for a few days. Now? Damn, girl. When I need to set up a playdate, ask my husband to pick up more milk, or explain my feelings on having overlapping basketball practices in two different locations, I text that. I text everything. 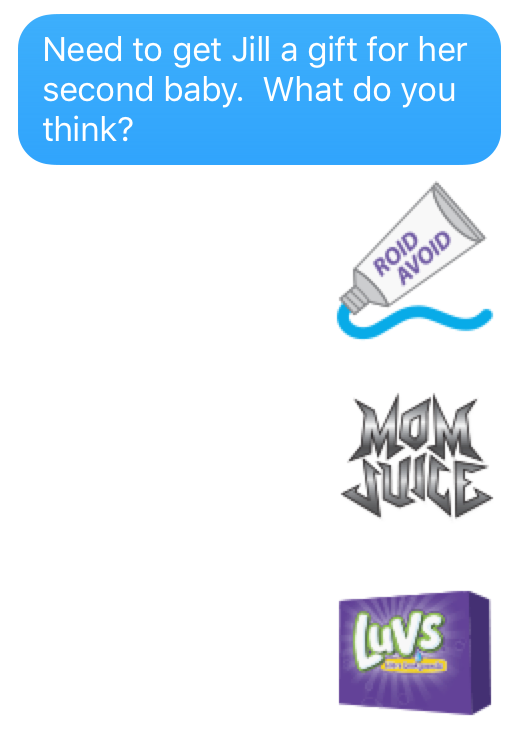 What I don't text I emoji. Emoji to confirm that I'm the snack mom for this weekend's ball game. 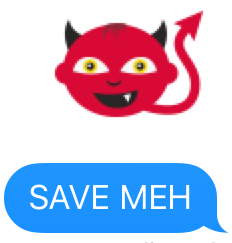 Emoji to confirm that I forgot to buy the team snack for this weekend's ball game. 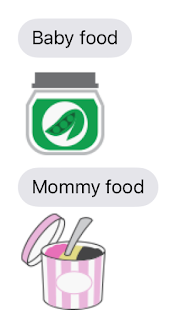 Emoji to confirm that I'm really excited for girls' night out, especially after the team snack SNAFU at this weekend's ball game. 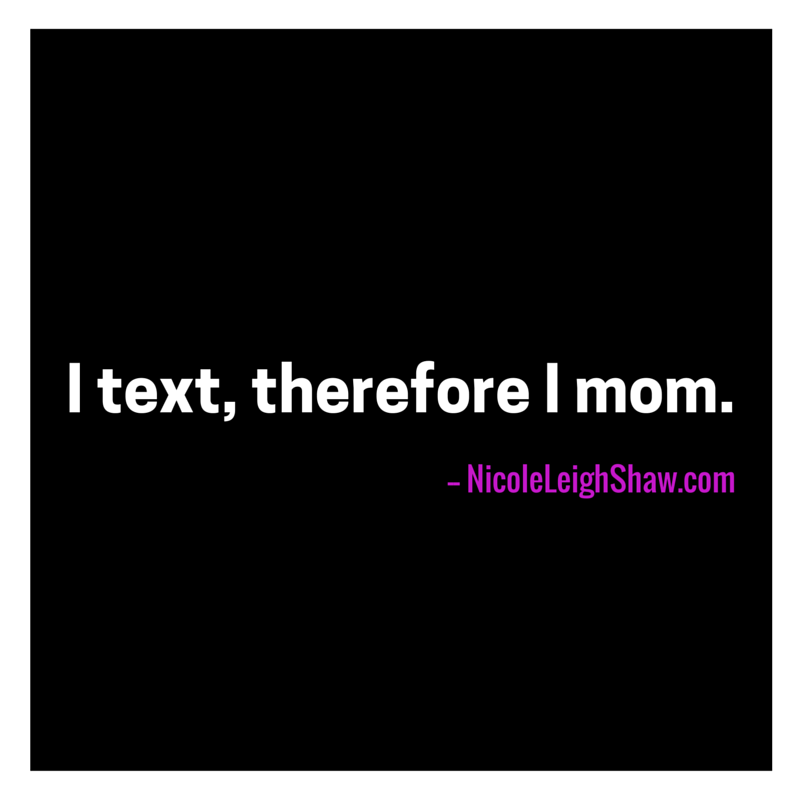 If motherhood is a hands-on endeavor, all of this handy shorthand is great when you're a mom who is often left with only one hand to text with. 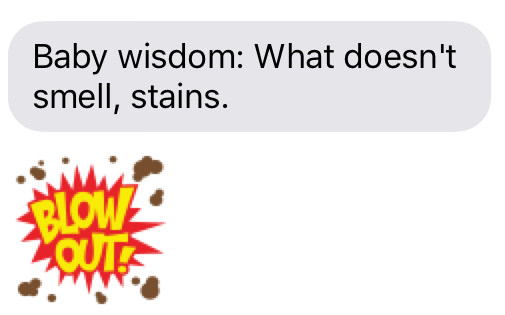 But what if mom texting included Momojis? Emojis designed for motherhood. 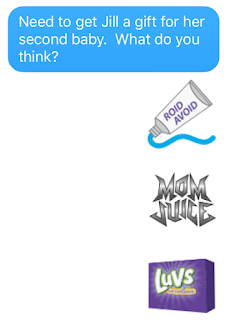 Luvs, the diaper and wipes brand you've used for years to contain baby's biggest messes, has created the Momoji app, so that you can really say what you need to say, without having to use all those bulky words. 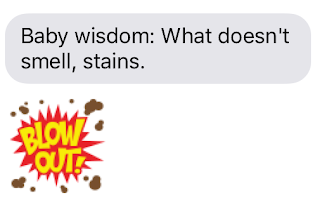 How will Momojis revolutionize your mom texts? 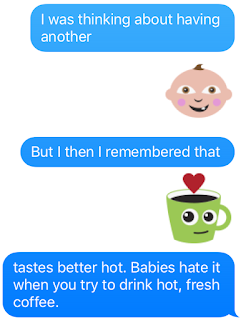 For the mom who has a few kids and needs to mull over the deeper issues surrounding procreation vis a vis caffeine consumption. For the mom who finds abiding wisdom in the most unlikely places. For the mom who has been around the old baby-having block a few times, and knows that somethings in life are more important than diaper stackers and crocheted booties. For the mom who needs to communicate the most important items on her grocery list. For the mom who is in acute baby distress. You want to test drive the Momojis, I know. Unfortunately, they are only available to a very select group of people known as anyone who has a smartphone. Sorry flip-phone hold outs, you're not welcome to the Momoji party. But everyone is invited to two, that's right two Twitter parties with the Luvs MotherBoard. The first is Wednesday, December 9 at 9 EST with the big blogging brains at BlogU. We'll explore how #KeepingTabsOn the holidays is no easy task. Also, we'll explore how giving out big money prizes (including hundreds in Amex gift cards) makes the holidays brighter. I'm hosting, but don't let that discourage you from joining us! The second Twitter party is the Luvs Momoji iConnect & MotherBoard Twitter party on December 15th at 9 EST. Why come to the Twitter party? Easy, because you like fun and you like winning money. Lots of it, in the form of Amex gift cards. Just join in and follow #Momoji. This post is part of a Luvs MotherBoard sponsored event. I'm on the motherloving Luvs MotherBoard. Never fear, I'm expressing my own opinions in this post, one of which is that I love being on the motherloving Luvs MotherBoard.